Few things are more uplifting than getting a surprise package in the mail, letting you know that someone out there cares for you! I’ve always loved the idea of sending care packages and when my kids were younger, we’d ship them to shut-ins we knew of. Somehow though, I let myself get too busy-feeling to do that anymore and the idea slid to the back of my mind. 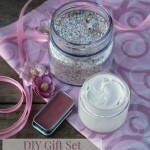 Then, Kathie of Homespun Seasonal Living sent me a copy of her workbook, A Fiercely D.I.Y. Guide to Seasonal Living, to check out. 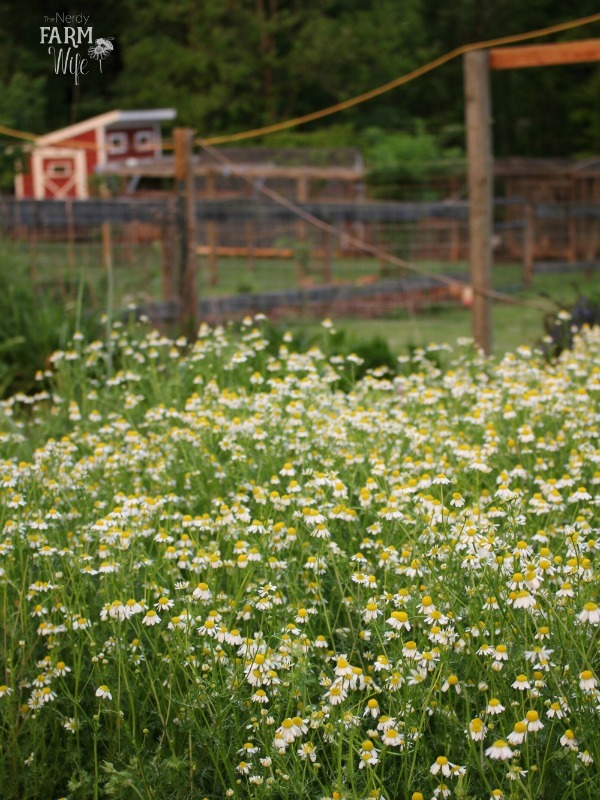 Determined to remedy that, I wandered around outside to see what was growing in my neglected flower beds and spotted this year’s unruly, but most welcome, chamomile patch. 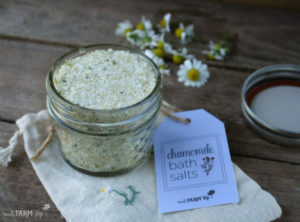 The ideas started flowing and the recipes for a chamomile care package were born! I enlisted my talented niece to make some pretty printables for this project. Clicking on the names below takes you to the pdf file for each. Feel free to use any and all as you wish! *Use the “fit to page” print option. 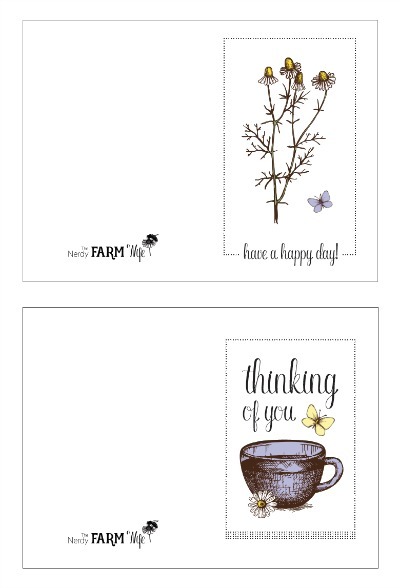 Print the note cards and bath salts tags out on heavy stock paper. 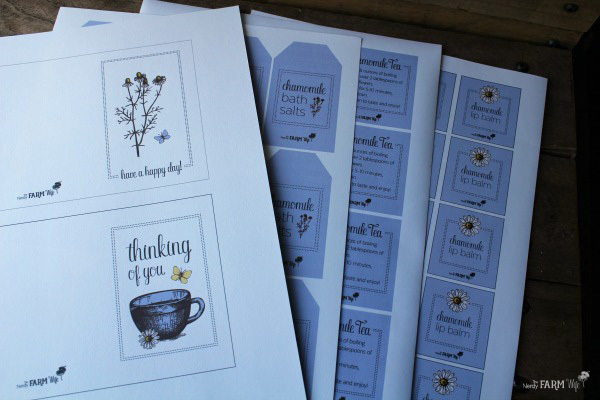 The tea bag labels can be printed on sticker paper (I like THIS KIND) and the lip balm labels do best printed out on heavy-duty waterproof label paper. 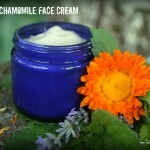 (I’ve had best results from THIS KIND from Rustic Escentuals). 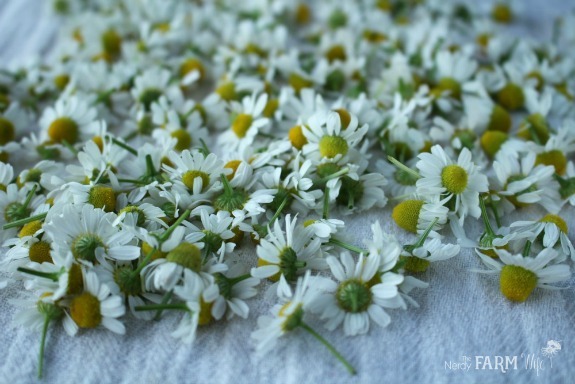 For the chamomile tea, gather fresh flower heads and spread them out in a single layer on a clean dish towel until completely dry. 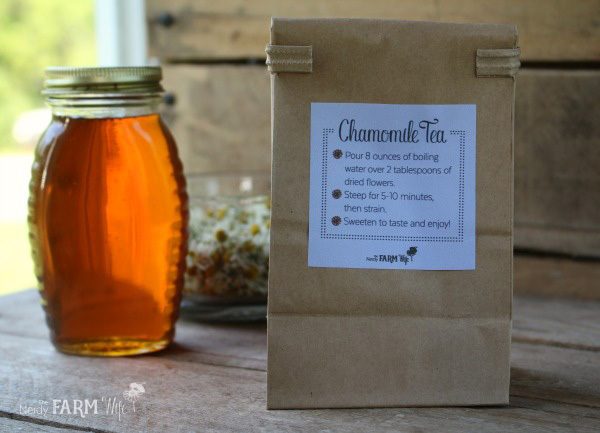 Package the dried flowers for tea in paper bags (or you could use a jar too). I use THESE HANDY brown paper bags from Mountain Rose Herbs. Print the labels out on sticker paper and affix to the bags. 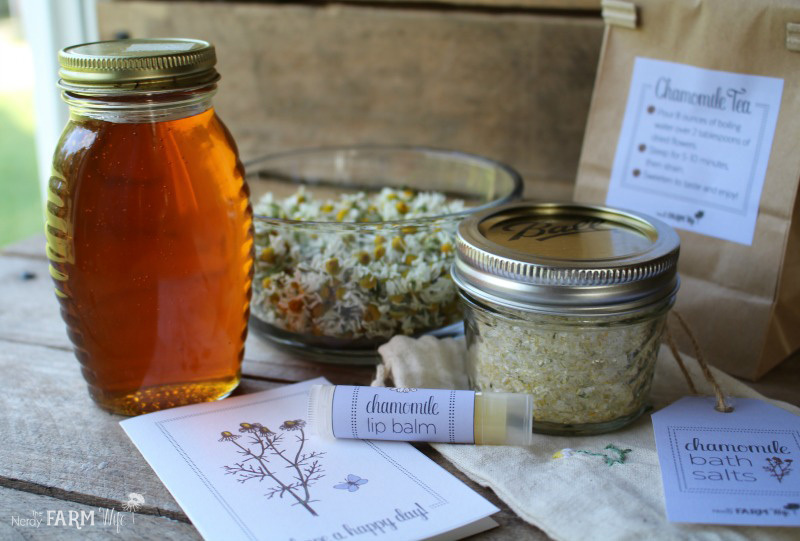 I’m going to be sending small jars of honey with some of the care packages and also thought about finding pretty tea cups to go along too. 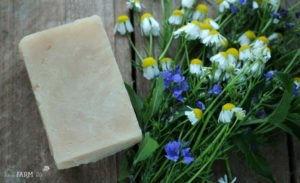 I also have a chamomile tea & honey shampoo bar recipe to share next week! 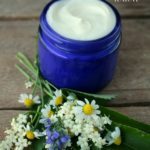 If you desire to slow down and find some uncomplicated peaceful moments in your daily life, are hoping to get in touch with a more natural, simple rhythm that can sometimes seem so very disconnected from the hectic pace of modern living, or you just think the idea of a Fiercely D.I.Y. Seasonal Lifestyle sounds awesome – check out Kathie’s book and blog! 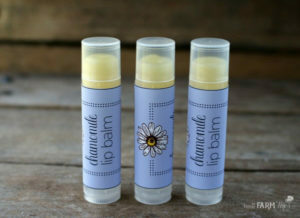 Tagged care package, chamomile, printables. Bookmark the permalink.